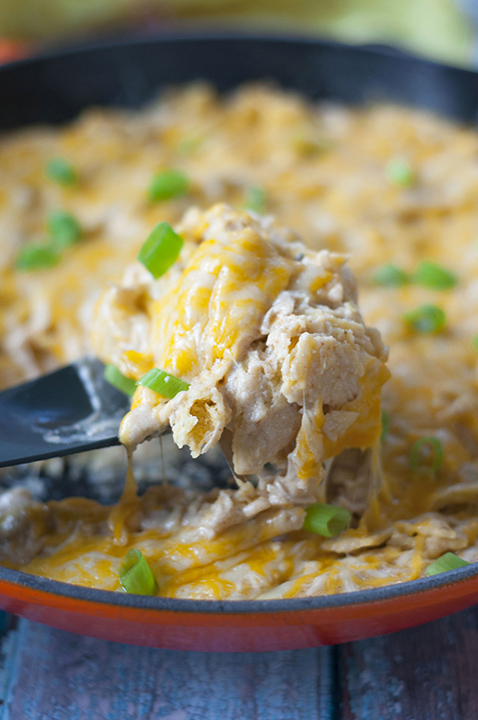 One Pan Sour Cream Chicken Enchilada Skillet recipe made quick and easy in a skillet with corn tortillas pieces, cooked chicken, and a cheesy sauce! Hello, everyone! I’ve been on a one pan dinner rampage lately. I can really get used to this routine of only cleaning up one dish at the end of the night! I honestly use my skillet more than any other pot or pan in my kitchen. I may as well get rid of the other 58392385 that I have just taking up space. Then again, I need a way to boil my pasta… so, there’s that. 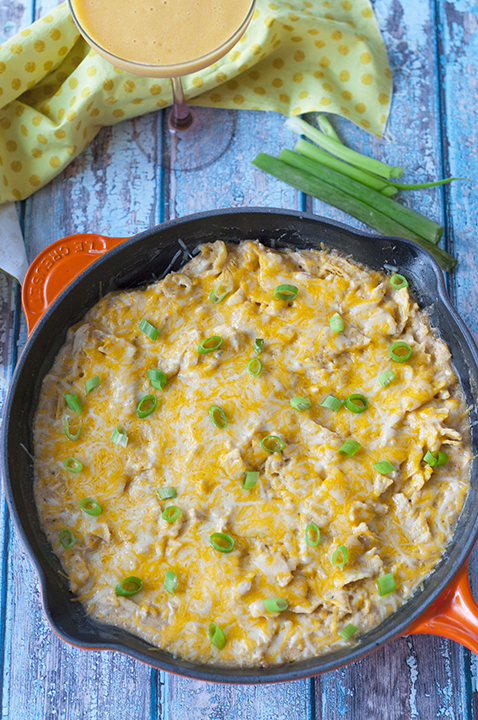 This One Pan Sour Cream Chicken Enchilada Skillet is honestly one of my favorite Mexican dishes I have made to date and it’s not because it’s all made in one skillet (but that definitely helps). 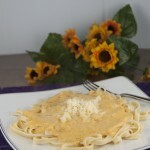 This cheesy deliciousness is a frequently made meal in my house – I’m all about the comfort food for a quick and easy meal. One of the things I love most about this Chicken Enchilada Skillet is how quickly it comes together. I LOVE enchiladas and these honey lime chicken enchiladas are a family favorite. I don’t always love the monotonous task of rolling them all up before proceeding to bake them. This recipe has the tortillas cooked right into it so you’re getting small bites of it in every forkful. This meal has terrific flavor and is so easy to make. 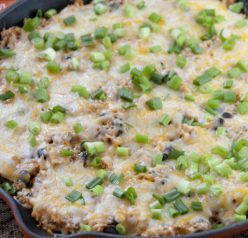 I really hope you give this chicken enchilada skillet a try soon and see for yourself how amazing it is. I’ve made it three times already. You can even use leftover chicken to make this even easier on yourself. Feel free to also add spicy seasonings if that is your preference. 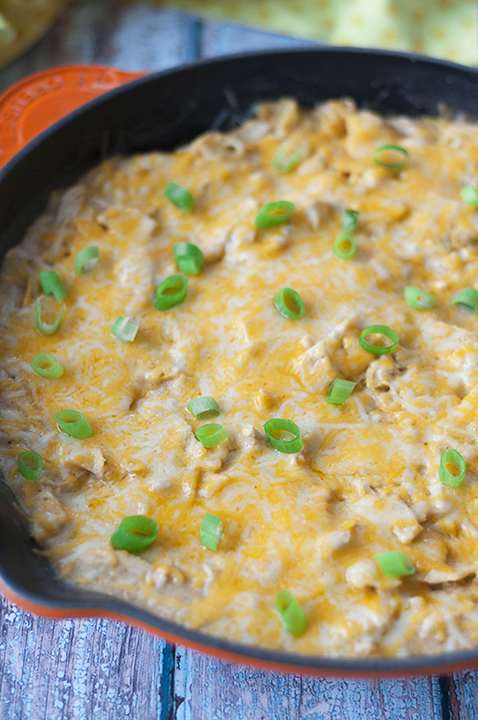 You will also absolutely love these sour cream chicken enchiladas. They have been a huge hit on my blog for years now! In a large skillet, heat butter over medium heat until melted. Stir in flour, cook for 1 minute and whisk in chicken broth. Continue stirring until smooth and thickened-- about 2-3 minutes. Stir chipotle chili powder, salt, oregano and green chiles into the sauce and place chicken breasts into pan. Bring to a simmer, reduce heat to low, cover and cook about 15 minutes or until chicken is cooked through. Remove chicken from pan, leaving the heat on low, and place chicken on a plate to shred into bite-sized pieces. Stir sour cream into the sauce and return chicken to the pan along with the tortillas. Stir until combined and top with grated cheese. 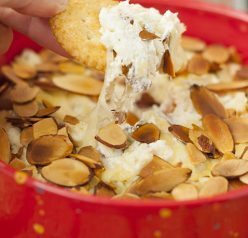 Cover pan and cook for 5-8 minutes until bubbly and the cheese is melted. Such a great idea to cook the tortillas directly in the skillet! We’ll definitely need to try this soon! Yum! One pan dinners are everything when you are busy! I’m all about one pan meals! And hello enchiladas. Love easy one pan dishes. And anything that’s even a bit Mexican. So this is perfect for me! Great dish — thanks.